Ecology is generally spoken of as a new science, having only become prominent in the second half of the 20th Century. More precisely, there is agreement that ecology emerged as a distinct discipline at the turn of the 20th Century, and that it gained public prominence in the 1960s, due to widespread concern for the state of the environment. Nonetheless, ecological thinking at some level has been around for a long time, and the principles of ecology have developed gradually, closely intertwined with the development of other biological disciplines. Thus, one of the first ecologists may have been Aristotle or perhaps his student, Theophrastus, both of whom had interest in many species of animals. Theophrastus described interrelationships between animals and between animals and their environment as early as the 4th century BC (Ramalay, 1940). Throughout the 18th and the beginning of the 19th century, the great maritime powers such as Britain, Spain, and Portugal launched many world exploratory expeditions to develop maritime commerce with other countries, and to discover new natural resources, as well as to catalog them. At the beginning of the 18th century, about twenty thousand plant species were known, versus forty thousand at the beginning of the 19th century, and almost 400,000 today. These expeditions were joined by many scientists, including botanists, such as the German explorer Alexander von Humboldt. Humboldt is often considered a father of ecology. He was the first to take on the study of the relationship between organisms and their environment. He exposed the existing relationships between observed plant species and climate, and described vegetation zones using latitude and altitude, a discipline now known as geobotany. In 1804, for example, he reported an impressive number of species, particularly plants, for which he sought to explain their geographic distribution with respect to geological data. One of Humboldt's famous works was "Idea for a Plant Geography" (1805). Other important botanists of the time included Aimé Bonpland. In 1856, the Park Grass Experiment was established at the Rothamsted Experimental Station to to test the effect of fertilizers and manures on hay yields. Alfred Russel Wallace, contemporary and competitor to Darwin, was first to propose a "geography" of animal species. Several authors recognized at the time that species were not independent of each other, and grouped them into plant species, animal species, and later into communities of living beings or biocoenosis. The first use of this term is usually attributed to Karl Möbius in 1877, but already in 1825, the French naturalist Adolphe Dureau de la Malle used the term societé about an assemblage of plant individuals of different species. While Darwin focused exclusively on competition as a selective force, Eugen Warming devised a new discipline that took abiotic factors, that is drought, fire, salt, cold etc., as seriously as biotic factors in the assembly of biotic communities. Biogeography before Warming was largely of descriptive nature - faunistic or floristic. Warming’s aim was, through the study of organism (plant) morphology and anatomy, i.e. adaptation, to explain why a species occurred under a certain set of environmental conditions. Moreover, the goal of the new discipline was to explain why species occupying similar habitats, experiencing similar hazards, would solve problems in similar ways, despite often being of widely different phylogenetic descent. Based on his personal observations in Brazilian cerrado, in Denmark, Norwegian Finnmark and Greenland, Warming gave the first university course in ecological plant geography. Based on his lectures, he wrote the book ‘Plantesamfund’, which was immediate translated to German, Polish and Russian, later to English as ‘Oecology of Plants’. Through its German edition, the book had immense effect on British and North American scientist like Arthur Tansley, Henry Chandler Cowles and Frederic Clements. It is often held that the roots of scientific ecology may be traced back to Darwin. This contention may look convincing at first glance inasmuch as On the Origin of Species is full of observations and proposed mechanisms that clearly fit within the boundaries of modern ecology (e.g. the cat-to-clover chain – an ecological cascade) and because the term ecology was coined in 1866 by a strong proponent of Darwinism, Ernst Haeckel. However, Darwin never used the word in his writings after this year, not even in his most “ecological” writings such as the foreword to the English edition of Hermann Müller’s The Fertilization of Flowers (1883) or in his own treatise of earthworms and mull formation in forest soils (The formation of vegetable mould through the action of worms, 1881). Moreover, the pioneers founding ecology as a scientific discipline, such as Eugen Warming, A. F. W. Schimper, Gaston Bonnier, F.A. Forel, S.A. Forbes and Karl Möbius, made almost no reference to Darwin’s ideas in their works. This was clearly not out of ignorance or because the works of Darwin were not widespread, but because ecology from the beginning was concerned with the relationship between organism morphology and physiology on one side and environment on the other, mainly abiotic environment, hence environmental selection. Darwin’s concept of natural selection on the other hand focused primarily on competition. The mechanisms other than competition that he described, primarily the divergence of character which can reduce competition and his statement that "struggle" as he used it was metaphorical and thus included environmental selection, were given less emphasis in the Origin than competition. 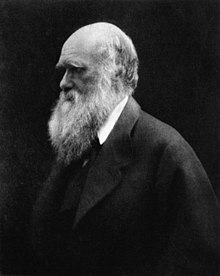 Despite most portrayals of Darwin conveying him as a non-aggressive recluse who let others fight his battles, Darwin remained all his life a man nearly obsessed with the ideas of competition, struggle and conquest – with all forms of human contact as confrontation. Tansley's concept of the ecosystem was adopted by the energetic and influential biology educator Eugene Odum. Along with his brother, Howard Odum, Eugene P. Odum wrote a textbook which (starting in 1953) educated more than one generation of biologists and ecologists in North America. At the turn of the 20th century, Henry Chandler Cowles was one of the founders of the emerging study of "dynamic ecology", through his study of ecological succession at the Indiana Dunes, sand dunes at the southern end of Lake Michigan. Here Cowles found evidence of ecological succession in the vegetation and the soil with relation to age. Cowles was very much aware of the roots of the concept and of his (primordial) predecessors. Thus, he attributes the first use of the word to the French naturalist Adolphe Dureau de la Malle, who had described the vegetation development after forest clear-felling, and the first comprehensive study of successional processes to the Finnish botanist Ragnar Hult (1885). Vito Volterra 1860-1940 Independently pioneered mathematical populations models around the same time as Alfred J. Lotka. Jan Christian Smuts 1870-1950 Coined the term holism in a 1926 book Holism and Evolution. Friedrich Ratzel 1844-1904 German geographer who first coined the term biogeography in 1891. The Gaia theory, proposed by James Lovelock, in his work Gaia: A New Look at Life on Earth, advanced the view that the Earth should be regarded as a single living macro-organism. In particular, it argued that the ensemble of living organisms has jointly evolved an ability to control the global environment — by influencing major physical parameters as the composition of the atmosphere, the evaporation rate, the chemistry of soils and oceans — so as to maintain conditions favorable to life. This vision was largely a sign of the times, in particular the growing perception after the Second World War that human activities such as nuclear energy, industrialization, pollution, and overexploitation of natural resources, fueled by exponential population growth, were threatening to create catastrophes on a planetary scale. Thus Lovelock's Gaia hypothesis, while controversial among scientists, was embraced by many environmental movements as an inspiring view: their Earth-mother, Gaia, was "becoming sick from humans and their activities". The history of ecology, however, should not be conflated with that of environmental thought. Ecology as a modern science traces only from Darwin’s publication of Origin of Species and Haeckel’s subsequent naming of the science needed to study Darwin’s theory. Awareness of humankind’s effect on its environment has been traced to Gilbert White in 18th-century Selborne, England. Awareness of nature and its interactions can be traced back even farther in time. Ecology before Darwin, however, is analogous to medicine prior to Pasteur’s discovery of the infectious nature of disease. The history is there, but it is not particularly relevant. Neither Darwin nor Haeckel, it is true, did self-avowed ecological studies. The same can be said for researchers in a number of fields who contributed to ecological thought well into the 1940s without avowedly being ecologists. Raymond Pearl’s population studies are a case in point. Ecology in subject matter and techniques grew out of studies by botanists and plant geographers in the late 19th and early 20th centuries that paradoxically lacked Darwinian evolutionary perspectives. Until Mendel’s studies with peas were rediscovered and melded into the Modern Synthesis , Darwinism suffered in credibility. Many early plant ecologists had a Lamarckian view of inheritance, as did Darwin, at times. Ecological studies of animals and plants, preferably live and in the field, continued apace however. When the Ecological Society of America (ESA) was chartered in 1915, it already had a conservation perspective. Victor E. Shelford, a leader in the society’s formation, had as one of its goals the preservation of the natural areas that were then the objects of study by ecologists, but were in danger of being degraded by human incursion. Human ecology had also been a visible part of the ESA at its inception, as evident by publications such as: “The Control of Pneumonia and Influenza by the Weather,” “An Overlook of the Relations of Dust to Humanity,” “The Ecological Relations of the Polar Eskimo,” and “City Street Dust and Infectious Diseases,” in early pages of Ecology and Ecological Monographs. The ESA’s second president, Ellsworth Huntington, was a human ecologist. Stephen Forbes, another early president, called for “humanizing” ecology in 1921, since man was clearly the dominant species on the Earth. This auspicious start actually was the first of a series of fitful progressions and reversions by the new science with regard to conservation. Human ecology necessarily focused on man-influenced environments and their practical problems. Ecologists in general, however, were trying to establish ecology as a basic science, one with enough prestige to make inroads into Ivy League faculties. Disturbed environments, it was thought, would not reveal nature’s secrets. The tension between pure ecology, seeking to understand and explain, and applied ecology, seeking to describe and repair, came to a head after World War II. Adams again tried to push the ESA into applied areas by having it raise an endowment to promote ecology. He predicted that “a great expansion of ecology” was imminent “because of its integrating tendency.” Ecologists, however, were sensitive to the perception that ecology was still not considered a rigorous, quantitative science. Those who pushed for applied studies and active involvement in conservation were once more discretely rebuffed. Human ecology became subsumed by sociology. It was sociologist Lewis Mumford who brought the ideas of George Perkins Marsh to modern attention in the 1955 conference, “Man’s Role in Changing the Face of the Earth.” That prestigious conclave was dominated by social scientists. At it, ecology was accused of “lacking experimental methods” and neglecting “man as an ecological agent.” One participant dismissed ecology as “archaic and sterile.” Within the ESA, a frustrated Shelford started the Ecologists’ Union when his Committee on Preservation of Natural Conditions ceased to function due to the political infighting over the ESA stance on conservation. In 1950, the fledgling organization was renamed and incorporated as the Nature Conservancy, a name borrowed from the British government agency for the same purpose. Two events, however, led to changes in ecology’s course away from applied problems. One was the Manhattan Project. It had become the Nuclear Energy Commission after the war. It is now the Department of Energy (DOE). Its ample budget included studies of the impacts of nuclear weapon use and production. That brought ecology to the issue, and it made a “Big Science” of it. Ecosystem science, both basic and applied, began to compete with theoretical ecology (then called evolutionary ecology and also mathematical ecology). Eugene Odum, who published a very popular ecology textbook in 1953, became the champion of the ecosystem. In his publications, Odum called for ecology to have an ecosystem and applied focus. The second event was the publication of Silent Spring. Rachel Carson’s book brought ecology as a word and concept to the public. Her influence was instant. A study committee, prodded by the publication of the book, reported to the ESA that their science was not ready to take on the responsibility being given to it. Carson’s concept of ecology was very much that of Gene Odum. As a result, ecosystem science dominated the International Biological Program of the 1960s and 1970s, bringing both money and prestige to ecology. Silent Spring was also the impetus for the environmental protection programs that were started in the Kennedy and Johnson administrations and passed into law just before the first Earth Day. Ecologists’ input was welcomed. Former ESA President Stanley Cain, for example, was appointed an Assistant Secretary in the Department of the Interior. The environmental assessment requirement of the 1970 National Environmental Protection Act (NEPA), “legitimized ecology,” in the words of one environmental lawyer. An ESA President called it “an ecological ‘Magna Carta.’” A prominent Canadian ecologist declared it a “boondoggle.” NEPA and similar state statutes, if nothing else, provided much employment for ecologists. Therein was the issue. Neither ecology nor ecologists were ready for the task. Not enough ecologists were available to work on impact assessment, outside of the DOE laboratories, leading to the rise of “instant ecologists,” having dubious credentials and capabilities. Calls began to arise for the professionalization of ecology. Maverick scientist Frank Egler, in particular, devoted his sharp prose to the task. Again, a schism arose between basic and applied scientists in the ESA, this time exacerbated by the question of environmental advocacy. The controversy, whose history has yet to receive adequate treatment, lasted through the 1970s and 1980s, ending with a voluntary certification process by the ESA, along with lobbying arm in Washington. Then, in 1997, the dangers the biosphere was facing were recognized from an international point of view at the conference leading to the Kyoto Protocol. In particular, this conference highlighted the increasing dangers of the greenhouse effect -- related to the increasing concentration of greenhouse gases in the atmosphere, leading to global changes in climate. In Kyoto, most of the world's nations recognized the importance of looking at ecology from a global point of view, on a worldwide scale, and to take into account the impact of humans on the Earth's environment. ^ Coleman, W. (1986) Evolution into ecology? The strategy of Warming’s ecological plant geography. Journal of the History of Biology, 19(2), 181-196. ^ Darwin, Charles (1859). On the Origin of Species (1st ed.). London: John Murray. http://darwin-online.org.uk/content/frameset?itemID=F373&viewtype=text&pageseq=16. ^ Futuyma, D. J. (2005). The Nature of Natural Selection. Ch. 8, pages 93-98 in Cracraft, J. and Bybee R. W. (Eds.) Evolutionary Science and Society: Educating a New Generation. American Institute of Biological Sciences. ^ a b Baker, H. G. (1966). "Resoning about adaptations in ecosystems". BioScience 16 (1): 35–37. http://www.jstor.org/pss/1293551. ^ Nyhart, L. K. (1998). "Civic and Economic Zoology in Nineteenth-Century Germany: The "Living Communities" of Karl Mobius". Isis 89 (4): 605–630. http://www.jstor.org/pss/236735. ^ Coleman, W. (1986). "Evolution into ecology? The strategy of warming's ecological plant geography". Journal of the History of Biology 19 (2): 181–196. http://www.springerlink.com/content/l620506185326641/. ^ Forbes, S. (1887). "The lake as a microcosm". Bull. of the Scientific Association (Peoria, IL : . ): 77–87. http://www.uam.es/personal_pdi/ciencias/scasado/documentos/Forbes.PDF. ^ Forbes, S. A. (1915). "The ecological foundations of applied entomology". Annals of the Entomological Society of America 8 (1): 1–19. http://www.uam.es/personal_pdi/ciencias/scasado/documentos/Forbes.PDF. ^ Cohen, J. E. (1987). "LOTKA, ALFRED JAMES (1880-1949)". in Eatwell, J.; Newman, P.. The New Palgrave Dictionary of Economics. New York: Stockton Press. pp. 245-247. http://www.rockefeller.edu/labheads/cohenje/PDFs/147LotkaNewPalgraveDictEconTheoryDoct1987.pdf. ^ Volterra, V. (1926). "Fluctuations in the Abundance of a Species considered Mathematically". Nature 118: 558-560. http://www.nature.com/nature/journal/v118/n2972/abs/118558a0.html. ^ a b c Kingsland, S. E. (1994). "Review: The History of Ecology". Journal of the History of Biology 27 (2): 349–357. http://www.springerlink.com/content/m51188130814962k/. ^ a b Simberloff, D. (1980). "A succession of paradigms in ecology: Essentialism to materialism and probalism.". Synthese 43 (1980) 3-39: 3–39. ^ Berryman, A. A. (1992). "The Orgins and Evolution of Predator-Prey Theory". Ecology 73 (5): 1530-1535. http://entomology.wsu.edu/profiles/06BerrymanWeb/Berryman%2892%29Origins.pdf. ^ W. C. Allee, Alfred E. Emerson, Orlando Park, Thomas Park, and Karl P. Schmidt, Principles of Animal Ecology (Philadelphia: W. B. Saunders Company, 1949). ^ Julian S. Huxley, Evolution: The Modern Synthesis (London: Allen and Unwin, 1942). ^ Sharon E. Kingsland, The Evolution of American Ecology: 1890-2000 (Baltimore: The Johns Hopkins University Press, 2005). ^ a b Robert A. Coker, Pioneer Ecologist: The Life and Work of Victor Ernest Shelford, 1877-1968 (Washington: Smithsonian Institution Press, 1991). ^ Victor E. Shelford, “The Ideals and Aims of the Ecological Society of America,” Bulletin of the Ecological Society of America 1 (1917): 1-2. ^ Stephen A. Forbes, “The Humanizing of Ecology,” Ecology 3 (1922): 89-92. ^ Charles C. Adams, “The Relation of General Ecology to Human Ecology,” Ecology 16 (1935): 316-335. ^ Frederic E. Clements, “Experimental Ecology in the Public Service,” Ecology 16 (1935): 342-63. ^ Paul B. Sears, Deserts on the March (Norman: University of Oklahoma Press, 1935). ^ Chas. C. Adams, “First Report of the committee of the Ecological Society of America for an Endowment Policy and Program,” November 29, 1947. ^ William L. Thomas, Jr., ed., Man’s Role in Changing the Face of the Earth (Chicago: University of Chicago Press, 1956). ^ Donald Worster, Nature’s Economy: A History of Ecological Ideas (New York: Cambridge University Press, 1977). ^ Joel B. Hagen, An Entangled Bank, The Origins of Ecosystem Ecology (Rutgers University Press, New Brunswick, New Jersey, 1992). ^ (William Dritschilo, Earth Days: Ecology Comes of Age as a Science (iUniverse, 2004). ^ Richard S. Miller, “Summary Report of the Ecological Study Committee with Recommendations for the Future of Ecology and the Ecological Society of America,” Bulletin of the Ecological Society of America 46 (1965): 61-81. ^ W. Frank Blair, Big Biology: The US/IBP (Stroudsburg, Pennsylvania: Dowden, Hutchinson & Ross, 1977). ^ Chunglin Kwa, “Representations of Nature Mediating between Ecology and Science Policy: The Case of the International Biological Programme,” Social Studies of Science (1987): 413-42. ^ James W. Curlin, “Courts, Ecology, and Environmental Planning,” Ecology (1972): 373-4. ^ Stanley I. Auerbach, “Ecology, Ecologists and the E.S.A.,” Ecology (1972): 205-7. ^ D. W. Schindler, “The Impact Statement Boondoggle,” Science (1976): 509. ^ Virginia H. Dale, Gary W. Barrett, Alan T. Carpenter, C. Ross Hinkle, William J. Mitsch, and Louis F. Pitelka, “ESA’s Professional Certification Program: Let’s Make It Work,” Bulletin of the Ecological Society of America 81 (2000): 255-7. ^ Glen W. Suter, “Ecosystem Theory and NEPA Assessment,” Bulletin of the Ecological Society of America 62 (1981) pp. 186-92. ^ Daniel S. Simberloff, “A Succession of Paradigms in Ecology: Essentialism to Materialism to Probabilism,” Synthese 43 (1980): 3-39. ^ Robert Henry Peters, “Tautology in Evolution and Ecology,” The American Naturalist 110 (1976): 1-12. ^ Robert Henry Peters, A Critique for Ecology (Cambridge University Press, Cambridge, 1991. ^ Daniel S. Simberloff and Lawrence G. Abele, “Island Biogeography Theory and Conservation Practice,” Science 191 (1976) pp. 285-6. ^ Alston Chase, In a Dark Wood: The Fight Over Forests and the Rising Tyranny of Ecology (Houghton Mifflin Company, New York, 1995). ^ David Takacs, The Idea of Biodiversity: Philosophies of Paradise (Johns Hopkins University Press, Baltimore, Maryland, 1996. Humboldt, A. von. 1805. Essai sur la géographie des plantes, accompagné d’un tableau physique des régions équinoxiales, fondé sur les mésures exécutées, depuis le dixième degré de latitude boréale jusqu’au dixième degré de latitude australe, pendant les années 1799, 1800, 1801, 1802, et 1903 par A. De Humboldt et A. Bonpland. Paris: Chez Levrault, Schoelle et Cie. Sherborn Fund Facsimile No.1. _______. 1805. Voyage de Humboldt et Bonpland. Voyage aux régions équinoxiales du nouveau continent. 5e partie. “Essai sur la géographie des plantes”. Paris. Facs intégral de l’édition Paris 1905-1834 par Amsterdam: Theatrum orbis terrarum Ltd., 1973. _______. 1807. Essai sur la géographie des plantes. Facs.ed. London 1959. His essay on “On Isothermal Lines” was published serially in English translation in the Edinburgh Philosophical Journal from 1820 to 1822. Ramalay, Francis. 1940. The growth of a science. Univ. Colorado Stud., 26: 3-14. Egerton, Frank N. 1977. History of American Ecology. New York: Arno Press. Egerton, Frank N. 1983. The history of ecology: achievements and opportunities; Part one. Journal of the History of Biology, 16 (2): 259-310. Hagen, Joel B. 1992. An Entangled Bank: The Origins of Ecosystem Ecology. New Brunswick: Rutgers University Press. Kingsland, Sharon E. 1995. Modeling Nature: Episodes in the History of Population Ecology, 2nd ed. Chicago: University of Chicago Press. McIntosh, Robert P. 1985. The Background of Ecology: Concept and Theory. Cambridge: Cambridge University Press. Mitman, Gregg. 1992. The State of Nature: Ecology, Community, and American Social Thought, 1900-1950. Real, Leslie A. and James H. Brown, editors. 1991. Foundations of Ecology: Classic Papers with Commentary. Chicago: University of Chicago Press. Tobey, Ronald C. 1981. Saving the Prairies: The Life Cycle of the Founding School of American Plant Ecology, 1895-1955. Berkeley: University of California Press. Weiner, Doug. 2000. Models of Nature: Ecology, Conservation, and Cultural Revolution in Soviet Russia. Pittsburgh: University of Pittsburgh Press. Worster, Donald. 1994. Nature's Economy: A History of Ecological Ideas, 2nd ed. Cambridge and New York: Cambridge University Press.